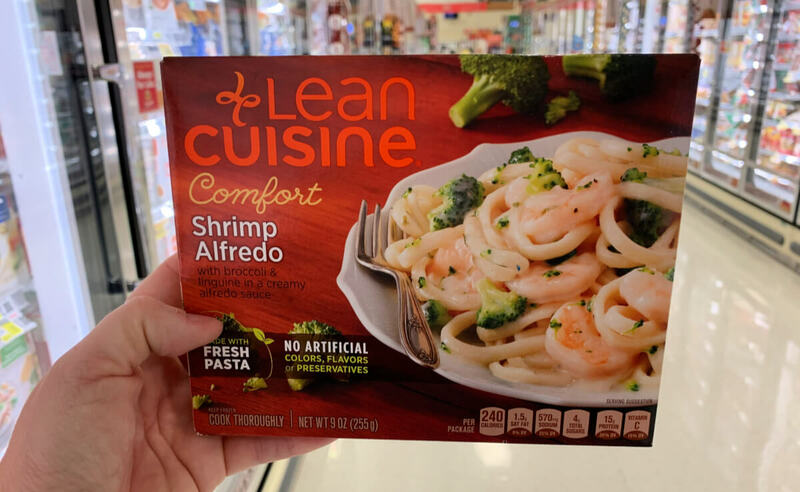 Over $165 in New Ibotta Offers – Save on Lean Cuisine, Alexia, L’Oreal & More! Some new Ibotta offers are available today. Now is a really great time to join Ibotta! Lately we’re seeing so many double and triple dips using Ibotta Offers paired with manufacturer’s coupons and eCoupons, etc. $2/1 “CLEAN & CLEAR Lemon Products for select varieties, select sizes. 7-Eleven, A&P, ACME, Acme Fresh Market (OH), Albertsons, Bakers, Bel- Air, Bi-Lo, Big Y Foods, BJ’s Wholesale, Boyer’s, Buehler’s, Byerly’s, Casey’s, Circle K, City Market, Copps, Corner, Costco, Country Mart (Lawton, OK), CVS Pharmacy, Dillons, Dollar General, Dollar Tree, Duane Reade, Family Dollar, Fareway Food Stores, Farm Fresh, Food Lion, Food4Less, Foods Co, Fred Meyer, fred’s Super Dollar, Fry’s, Gerbes, Giant (DC,DE,VA,MD), GIANT (PA,WV,MD,VA), Giant Eagle, H-E-B, Haggen, Hannaford, Harris Teeter, Hess, Homeland, Hy-Vee, Ingles, Jay C, Jewel-Osco, JustSave Foods, King Soopers, Kmart, Kroger, Longs Drugs, Lowes Foods, Lunds, Mariano’s, Market Street, Marsh, MARTIN’S, Martin’s (IN, MI), Meijer, Military Commissary, Murphy, Knob Hill Foods, On the Run, Owen’s, Pathmark, Pavilions, Pay Less, Peapod, Pick ‘N Save, Piggly Wiggly Midwest, Price Chopper (KS & MO), Publix, QFC, Quiktrip, Raley’s, Ralphs, Randalls, Reasor’s, Redner’s Markets, Remke Markets, Ridley’s, Rio Ranch, Rite Aid, Ruler Foods, Safeway, Sam’s Club, Schnucks, Scott’s, Shaw’s, Shoppers Food, ShopRite, Smart & Final, Smith’s, Speedway, Sprouts Farmers Market, Star Market, Stater Bros, Stop & Shop, Superfresh, Target, The Food Emporium, Tom Thumb, Tops, United Supermarkets, Vons, Walgreens, Walbaum’s, Walmart, Walmart.com, Wawa, Wegmans, Weis Markets, Whole Foods Market, WinCo Foods, Winn-Dixie.